There are many different types of therapy available to those who might require a professional intervention. When an individual experiences a traumatic event, they may seek therapy as a way to heal the trauma and move forward. Trauma-focused therapy can be used as a way to integrate the traumatic event. The goal of trauma therapy is not to eliminate the traumatic event but rather to work through the trauma in an effort to lessen the influence it has on one’s life. 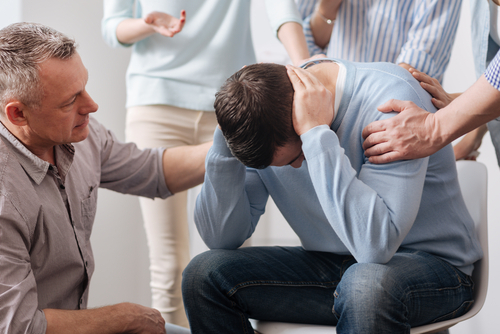 There are several therapeutic interventions that have shown to work well with trauma including behavior therapy, psychodynamic therapy, cognitive behavioral therapy, and group therapy. The core of behavior therapy is rooted in identifying and changing maladaptive behaviors. Behavior therapy works by retraining the individual in how they react to external stimuli. The goal of behavior therapy is helping a person understand that changes in behavior can affect how one feels. Exposure therapy is a form of behavior therapy and is used to expose an individual to what they fear. Exposure therapy is used frequently with the treatment of phobias, as it allows the person to learn that the fear is unwarranted, which can reduce the fear response. Therapists who use exposure therapy can present this treatment in one of three ways. First, the therapist can provide in vivo exposure, which occurs within the therapeutic setting, as the therapist exposes the feared event to the person. Second, the individual can use imaginal exposure whereby the person imagines the feared event and lastly, systematic desensitization where the feared situation is presented slower over time. With all of these behavioral therapies, the therapist is present to ensure relaxation and safety during recall of the traumatic event. Psychodynamic therapy attempts to expose the underlying unconscious, psychic conflict that might exist in an effort to relieve tension. The therapist focuses on uncovering where the individual experienced this conflict as a way to process and integrate the trauma. A psychodynamic therapist would focus on the individual’s development and childhood and work toward understanding and processing the traumatic event. There is an emphasis on healing the “self” that has been wounded or lost because of the trauma. Cognitive behavioral therapy or CBT seeks to identify and change negative thoughts. Our thoughts influence our behaviors and through CBT, an individual will learn to recognize negative thoughts and incorporate less negative thoughts. In relation to trauma therapy, CBT can teach how to breathe during stress or an anxiety-provoking occurrence. CBT also teaches individuals about what is normal in terms of responses to trauma. There are many groups that one can participate in relation to trauma recovery. The individual who wishes to attend group therapy sessions should first consult with an individual therapist to ensure that the group is aligned with where the person is in terms of the trauma and healing journey.